The wedding day celebrates the happiest and holiest day of one’s life. This day is considered a personal Yom Kippur (atonement) for the chatan (groom) and kallah (bride), for on this day all their past mistakes are forgiven as they merge into a new, complete soul. You’re showing your family, your friends, and the world that you’ve found your bisheret (soulmate), with whom you will spend an eternity. Jewish tradition compares the couple to a queen and king. The kallah (bride) will be seated on a “throne” to receive her guests, while the chatan (groom) is surrounded by guests who sing and toast him. This is an exciting time, to say the least. For some brides to be, however, it can also be extremely stressful if finances are tight. Orthodox Jewish weddings are traditionally big, and they cost more than the average wedding. You have to factor in kosher food and drinks, a ketubah (Jewish prenuptial agreement), a Huppah, a chazzan (singer), custom benchers (prayer books) and Yarmulkes (skullcap worn especially by Orthodox and Conservative Jewish males), tallit (prayer shawl) for your Chatan (groom) and the tznius (modest bridal gown). On top of all that, you have to pay for a hall, a DJ, a photographer, a coordinator, centerpieces and not to mention that the gifts from the guest have to be out of the top, you can click here to have an idea of what type of weddings gifts are allowed. If you or your family is struggling financially, or you just want to cut back on expenses, the following are 6 ways you can save money on your wedding. Many people are unaware of a very valuable resource available. The Gemach is a Jewish interest free-loan service which follows both the Torah commandment of lending money, and the prohibition against charging interest on a loan to a fellow Jew. Unlike bank loans, gemach loans are interest-free, and are often set up with easy repayment terms. A wedding gemach may extend a loan of several thousand dollars. Typically, gemachs also offer favorable repayment terms, enabling borrowers to repay the loan over a long period of time, in keeping with the duty to do acts of kindness. Gemachs will typically ask the borrower to provide two guarantors as co-signers on the loan. Simply type in “gemach” and the name of your town into Google and you’ll find names and contact information of volunteers working hard to serve their fellow Jews. If you’re considering taking out a loan from a bank or lending company to pay for your wedding, beware of high interest rates. You might end up starting your marriage with more debt than you can handle. Instead, contact a Jewish free loan association in your community, which can offer you small, no-interest loans. Just take note that you may have to secure a co-signer or two. The wedding industry is a huge moneymaker, which usually means that any store catering to bridal or wedding needs is going to be a rip-off. There is no shame in going to a discount store in-person or shopping online for your decorations and gifts for your guests or those in your wedding party. Some great places to buy discounted items are Ebay, Home Goods, Marshalls, T.J. Maxx, Dollar Tree, 99 Cents Only Stores, and Ross. Fellow brides and married women are your greatest allies. Not only can they provide moral support, but they can also point you in the right direction for all your wedding needs. Join some Facebook groups made up of married women or brides-to-be in your town, post some questions on the group’s wall, and you’ll be good to go. Anyone you hire for your wedding is most likely going to offer you a package deal. If you ask a DJ to play music, he or she might try to throw in lighting, an MC, and a photobooth. A planner might increase the price by encouraging you to hire his or her assistant as well. While some packages are going to fit your needs, a lot of the add-ons could be a waste of money. Instead, ask for itemized prices for their different services, and then decide which ones are really imp0ortant to you. 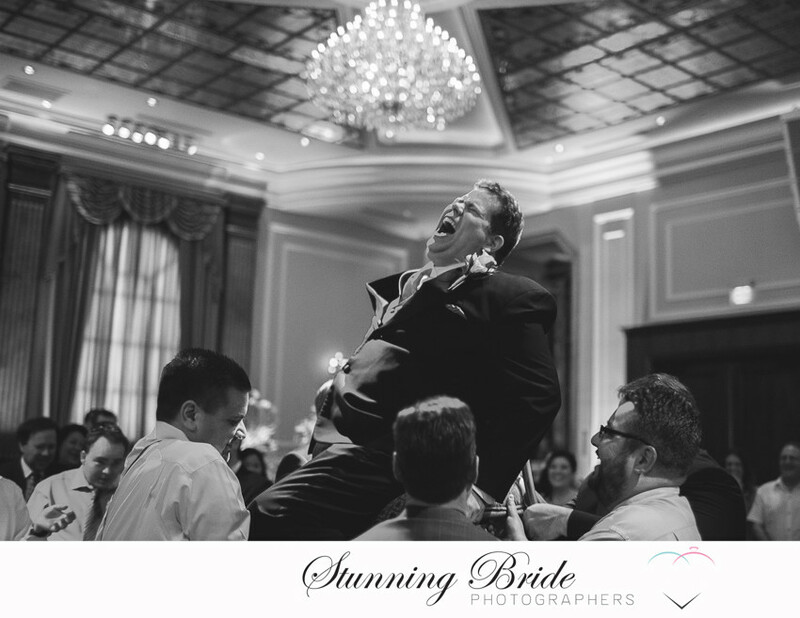 One aspect of your wedding that you shouldn’t cut corners on is your photographer. The most important things you’ll take away from your wedding are your memories and the photographs/videos. You’ll look back at these for years to come and remember how much fun you had and how meaningful the wedding was to you. You don’t want to look back with regret about the photographer you hired. However, you can shop around by inquiring online via Wedding Wire Network, Brides Choice Awards, Yelp, TheKnot, Martha Stewart Weddings, Facebook, or as a last resort, hire a student photographer with less experience than a professional wedding photographer. Whatever you decide to do, you need to take time to look at his or her portfolio, and make sure the essence of the wedding is captured. 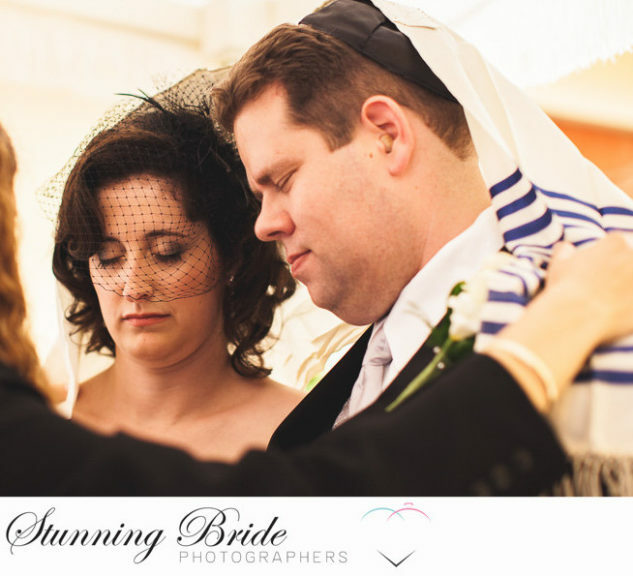 You want someone with experience in Jewish weddings, someone who respects the tradition of non or limited touching, and knows how to capture the tisch (the groom’s reception), the signing of the ketubah, the B’deken (veiling ceremony), the Huppah, and the hora (the chair lifting and dancing), among the other parts of the wedding. To that effect, your photographer should have his or her own lighting equipment and stepladder/footstool. If you want to save money on printing, ask the photographer for just the high resolution images. You can also purchase your own photo album in the store or online instead of buying one from him or her. When hiring your photographer, always ask to see a full wedding, not just a few images from their best weddings. Ask about what’s included in the standard package, plus any additional fees. In particular, find out how many hours of shooting are included. Most packages include about eight hours and cover everything from getting ready to the end of the reception. It’s usually better to pay for more coverage in advance if there’s a chance you’ll run over, as overtime is normally charged at a higher rate. Mazel tov and happy wedding planning! We love meeting and getting to know each other before you decide to book us. It’s very important. You should like us and you should trust us 100%, chatting over wine or a beer is a great way to get to know each other and bounce ideas. So please, whether you’ve got questions or want to meet, get in touch. You may fill out our contact form and we’ll get right back to you. Or, if you prefer, please feel free to email, call or text.